For fans of Seinfeld and Saturday Night Live comes the debut novel from television and movie writers Andy Robin and Gregg Kavet, who’ve talents have earned them three Emmy’s and A Screen Writer’s Guild Award for Outstanding Comedy. Regardless of how this humorous novel ended up on my bookshelf, it was such an enjoyable read. It’s a handy book that, even though I’m very sure I wouldn’t apply some pieces of its advice to my real life: such as taking off the sweater I’m wearing and giving it as a gift because I just plain forgot to buy a new gift for a friend/family member, though some of it can actually be used to handle awkward situations that seem to search us out and try to conquer us all. 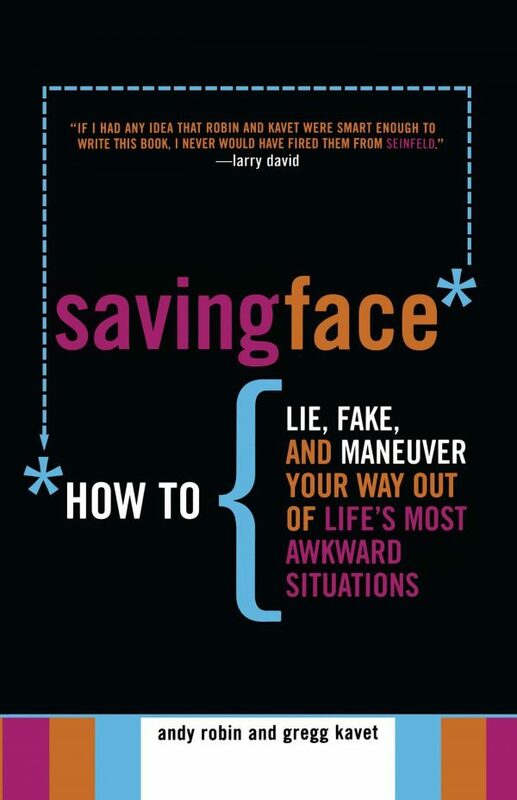 A great amount of the so-called advice in this book should definitely not be taken seriously, hence the whole funny book thing, although, it is a very entertaining read, nonetheless. Overall, this is a short read, roughly 175 pages, full of pure laugh out loud, considerably obnoxious wisdom that will encourage you to laugh a little at yourself and some of the unfortunate things that we can’t control. What are some books that have had you bellowed over in laughter?